Since the energy crisis of the 1970’s, Americans have been searching for ways to use our natural resources safely and efficiently. And since the release of the documentary An Inconvenient Truth in 2006, buzzwords and catchphrases like global warming, climate change, renewable energy, and sustainable energy have become a part of the American lexicon. But what does all this really mean? What is science and what is hype? Regardless of political passion or environmental principles, everyone can agree that treating our ecology with respect is the key to maintaining our ecosystems. Understanding renewable energy, as well as why it’s so important, is the starting place for maintaining our earth. First, let’s talk about the difference between renewable and non-renewable energy. By definition, non-renewable energy has a finite supply, meaning one day, we will run out of the source. The majority of non-renewable energy sources are fossil fuels such as oil, coal, and natural gas. The key element in fossil fuels is carbon. Fossil fuels formed from 300-360 million years ago, and its this obscenely long period required for the creation of fossil fuels in nature that makes them non-renewable. Fossil fuels all formed essentially the same way. The landscape of the Earth in prehistoric times was completely different, with widespread, shallow seas and swampy areas dominating the landscape. The plant life in the ancient wetlands absorbed energy from the sun and drifted to the bottom of the wetlands upon death. After millions of years of heat and pressure from the seabed, fossil fuels were formed (coal, oil, and natural gas). Today, we tap into underground reservoirs of these fossil fuels in all parts of the world. When we use fossil fuels, by burning, they produce carbon compounds like carbon dioxide and other gases that damage the environment. Air, water and land pollution can all be effects when we use fossil fuels. But, when fuels like oil and coal burn, they release pollutants into the ecosystem, with each of the fossil fuels having its own distinctive footprint. Humans mine coal in one of two ways: surface mining and underground mining. Surface mining reaches coal located near the earth’s surface, but getting to that coal creates problems in the environment. Trees and soil are removed by the mining companies, which can and will destroy entire habitats. Underground mining harvests coal located deep within the Earth, sometimes up to 300 meters (1,000 feet) deep. Miners move through the mineshafts on elevators, operate heavy machinery to cut the coal out of the Earth, and send the coal to be processed above ground. Miners do dangerous work. 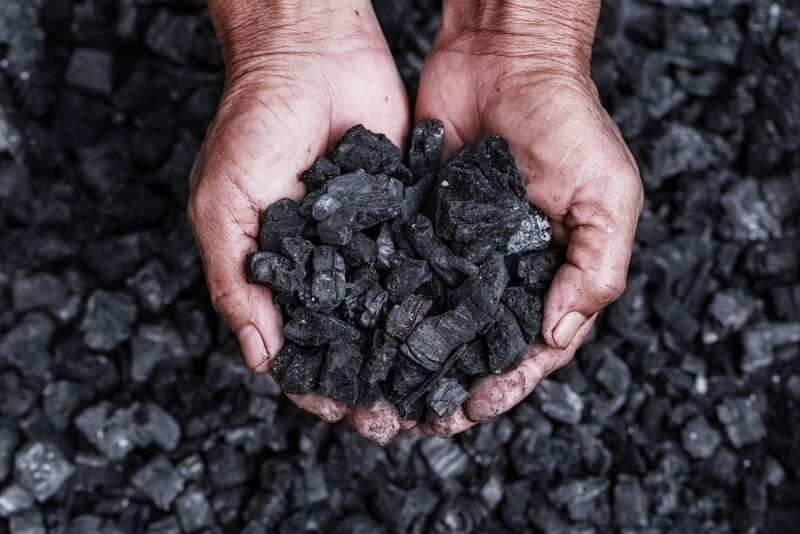 Slicing coal from the earth releases dangerous gases, which can cause explosions or endanger miners with polluted air. Nearly one-half of the electricity in America is derived from coal. When coal burns, it leaves “byproducts” that we also use to make cement, roads, plastics, and other valuable items. Petroleum is found beneath underground rock formations, and there are some locations, even right here in America, where oil bubbles out of the ground. However, the majority of the earth’s oil is deep underground. In fact, it is so deep that we have to drill through the earth to bring it to the surface. Oil rigs have the capability of extracting oil 24/7/365, and a successful oil rig can produce oil for decades. Offshore drilling, under the ocean floor, must be done from an oil platform. After the oil has been taken out of the earth, it is refined. Oil contains lots of chemicals other than carbon and refining the oil cleanses it of these chemicals. One-half of the world’s oil is refined to become gasoline. The remainder is processed and used in liquid products (nail polish or rubbing alcohol), or solid products (water pipes, shoes, crayons, roofing, vitamin capsules). Natural gas is also found in underground reservoirs a few hundred meters down, and it primarily consists of methane. There is such an abundance of natural gas underground that it is measured in million, billion, or trillion cubic meters. 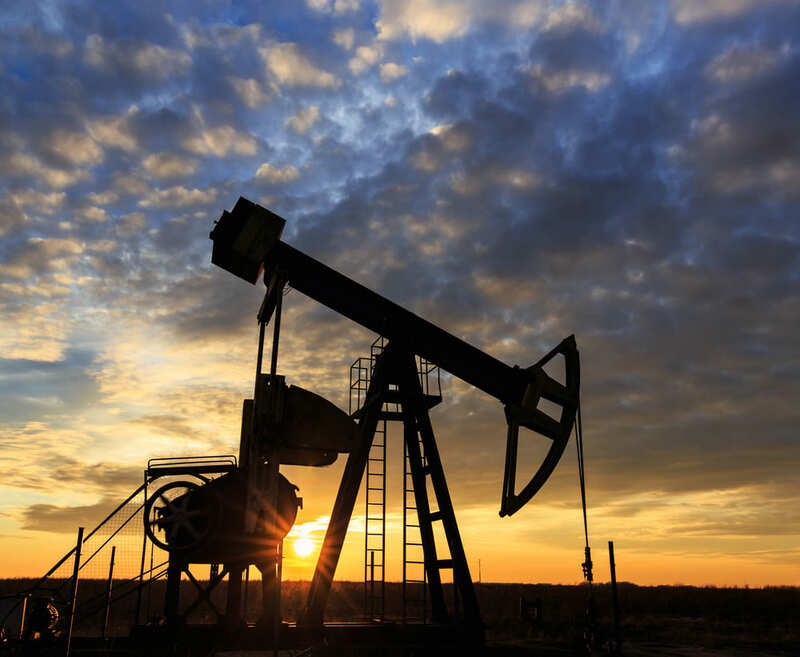 To get natural gas from the ground, companies often drill down into in rock formations where the gas is trapped. Some companies, to harvest their veins of gas, use “hydraulic fracturing,” or fracking. Fracking uses high-pressure water that splits the rocks underground, and this splitting frees the natural gas stuck in the rock formations. For harder rocks, the companies send acid down the well to dissolve the rock. Natural gas is primarily used for cooking and heating. Believe it or not, it can also be burned to generate electricity. Natural gas can also be transformed into a liquid, called liquid natural gas (LNG). While still a fossil fuel, LNG is much cleaner when burned. More and more, we’re beginning to see that our dependence on fossil fuels is problematic. First and foremost, we’re eventually going to run out of them. When that happens, we will absolutely need alternative ways to generate power. Second, harvesting fossil fuels often creates huge amounts of damage to the environment. The more we rely on them, the more damage we end up causing to precious ecosystems. 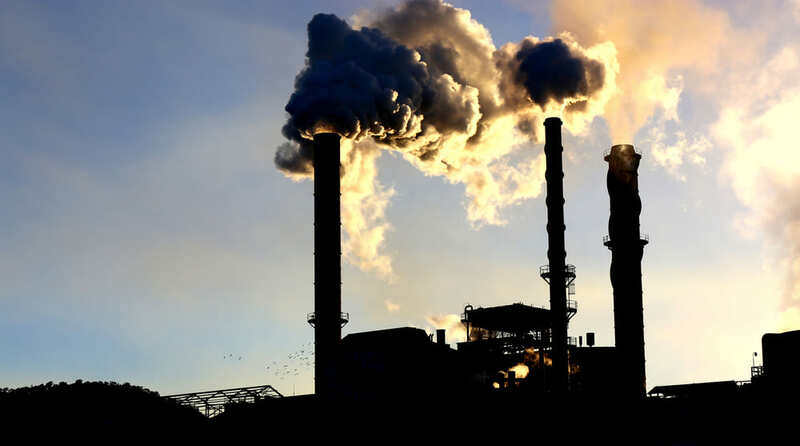 Finally, burning fossil fuels releases huge amounts of pollutants into the atmosphere. We’re constantly pumping out toxic gases from our cars and factories, and these gases are depleting the ozone layer and contributing to global warming. Clearly, we need an alternative. What is that alternative? Renewable resources of energy. Renewable energy is harnessed from natural processes which replenish themselves in a time that is equal to or faster than how quickly they are consumed. We can create usable energy from the sun, geothermal heat, the wind, hydropower, ocean resources, solid biomass, biogas and liquid biofuels. Technologies and equipment have been developed over the past few decades to harness these natural resources. These renewable forms of energy can produce electricity, industrial heat, thermal energy, and alternative fuels without destroying the environment. The four most commonly used are solar, geothermal, wind, and hydropower. There are currently two solar technologies that involve electrical or mechanical equipment – and they are becoming more common. Solar panels are used to heat air and water we use in buildings. Solar photovoltaic technology uses solar cells to convert sunlight into electricity. Geothermal energy is captured from the heat stored under the earth’s surface or from the absorbed heat in the atmosphere and oceans. Geothermal energy can be harnessed from naturally occurring underground steam, which is processed into electricity. Wind has kinetic energy that can be converted into mechanical energy or electricity. 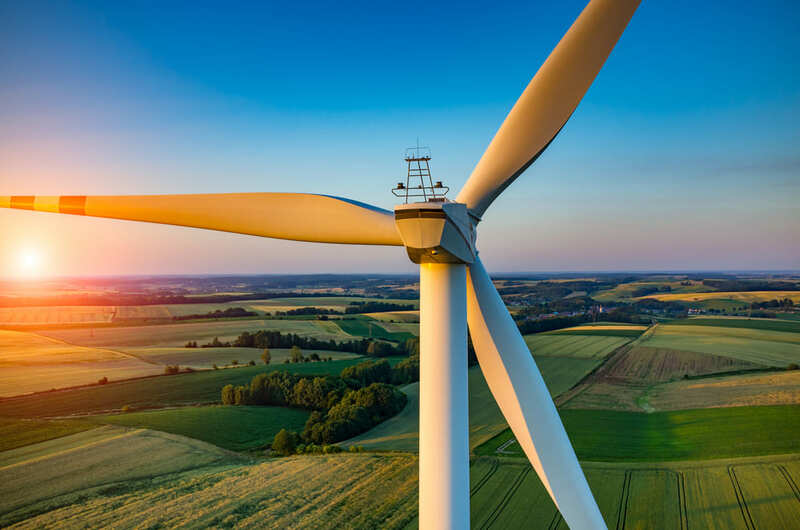 In parts of the country, immense turbines with large propellers have appeared as ‘wind farms’ located strategically where wind energy is predictable and close to existing electrical grids. The natural flow of water also offers kinetic power that can harnessed as energy. Hydroelectricity is currently the dominant energy produced from flowing water. Just as wind energy is based on the air currents, in hydroelectricity, the water flow is directed at turbine blades, which spin and cause an electrical generator connected to the turbine to spin and generate electricity. We can see through our history with fossil fuels that the by-products of burning oil, coal, and natural gas are more dangerous to the environment than they are valuable. There are other fossil fuels (nuclear and biomass) that do not present the threats of burning oil, coal, or natural gases; however, they are far more expensive to produce. Nuclear energy requires the use of Uranium 235 (U-235), which is incredibly rare. Though there are rich deposits in the United States, it is incredibly difficult to mine. Biomass (burning of wood, corn, soy, or other plants) is only renewable if those who use them are good stewards of the land and continue producing them through planting trees, or farming corn or soy. In an effort to encourage the population to seek out renewable resources for energy consumption, state governments, as well as the federal government, have established policies for renewable energy use, including monetary incentives. One of these is a tax incentive for purchasing electric vehicles. In states with higher pollution rates, these vehicles are great options to reduce emissions that come from the burning of gasoline and pollute the air. While many Americans are often befuddled or baffled by the energy debate, there are future changes that will help rebuild and repair the environment people have so critically damaged. It is in everyone’s best interest to take advantage of renewable energy options and participate in the incentive programs that will help restore our land to one of cleaner air and water, and a thriving, natural landscape. Would you like to learn how to start developing youth and youth workers mobility projects? Would you like to discover good practice examples, tips and hints for developing good projects? Would you like to share your ideas with others? Organised by SALTO-YOUTH Participation Resource Centre in collaboration with "Erasmus+ Youth in Action" National Agencies from Hungary, Italy, Iceland, Croatia, Slovakia and Poland, the course (3-4 hours a week) is addressed to youth and youth organisation leaders. Join the online course on Erasmus+ Funding Opportunities for Youth from 31 October to 4 December 2016. The course is organised by SALTO-YOUTH Participation Resource Centre in collaboration with "Erasmus+ Youth in Action" National Agencies from Hungary, Italy, Iceland, Croatia, Slovakia and Poland.You will have to be available 3-4 hours a week. 2nd Symposium: How can the EU tap into the building sector’s potential for energy efficiency? The construction sector is crucial to EU climate and energy policy as buildings are responsible for 40% of energy consumption and 35% of CO2 emissions in the EU. Moreover, the EU’s construction sector, including its extended value chain, is the largest European economic activity (9% of GDP) and provides 18 million direct jobs. Clearly, there is huge potential for reducing CO2 emissions by improving the energy efficiency of buildings, spurring the economy, creating new jobs, lowering the bill of consumers, and bolstering energy security. However, despite the huge benefits of renovating and renewing the EU’s building stock, current investments are five times lower than what is required to decarbonise the European economy by 2050. This can be explained, partly, by the fact that access to finance is complicated and that the sector is highly fragmented and sensitive to economic cycles. In order to improve this situation, the Commission came up with the heating and cooling strategy earlier this year. In July, it proposed the effort-sharing proposal for the non-ETS sectors – including buildings – in view of the 2030 greenhouse gas emissions reduction target. Finally, the Commission is expected to propose renewed Energy Efficiency and Energy Performance in Buildings Directives and will publish a communication on “Smart financing for smart buildings” at the beginning of October. In this changing context, the Symposium aims to look into the on-going EU policy discussions among stakeholders on the recently published directives, while identifying the remaining bottleneck and thinking through new proposals for the building sector to deliver its full decarbonisation potential. The event has become a European networking platform for experts in regional and local development. Exchange of good practice in economic development and social inclusion, cross-border cooperation, public-private partnerships, regional innovation and community-led local development have become some of its many topics. Every year it promotes workshops, debates and networking opportunities for over 5000 partecipants. The theme of this year "Regions and cities for sustainable and inclusive growth" will be discussed in Brussels and in the 187 EU regions.